These presentation slides 38915 are complete compatible with Google Slides. Simple download PPTX and open the template in Google Slides. 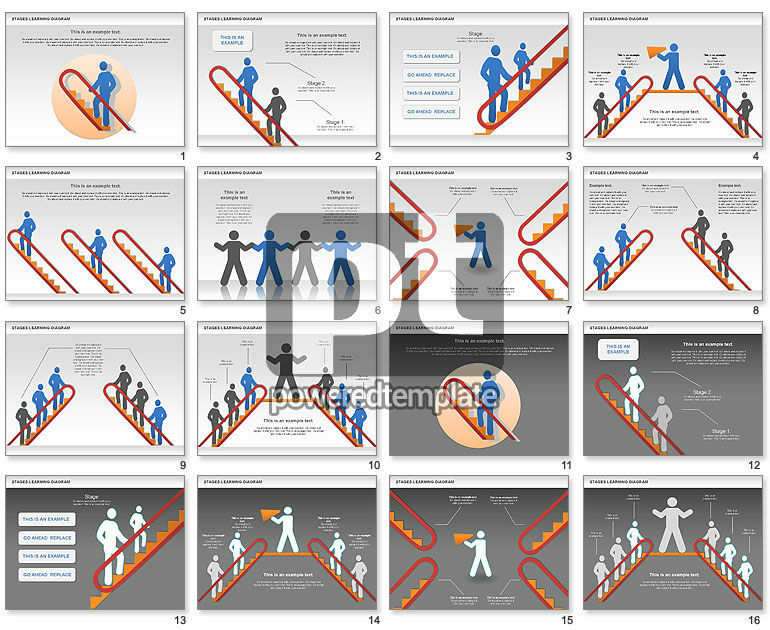 Stage Training Diagram will be perfect choice to demonstrate for applicant career opportunities in your company . Human shapes which climbing on ladder could be used for presentations on career, career development, career growth, training, team building, teamwork, etc.